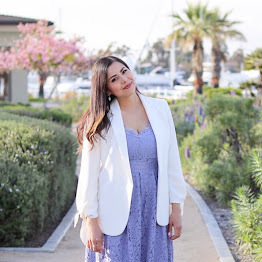 Last night I attended the RewardStyle class series that made a stop here in San Diego (pictures of that at the end of the post), but first.... the outfit. Since the print on the pant is a little overwhelming, I did what I always do when one piece is bold, I kept everything else simple. 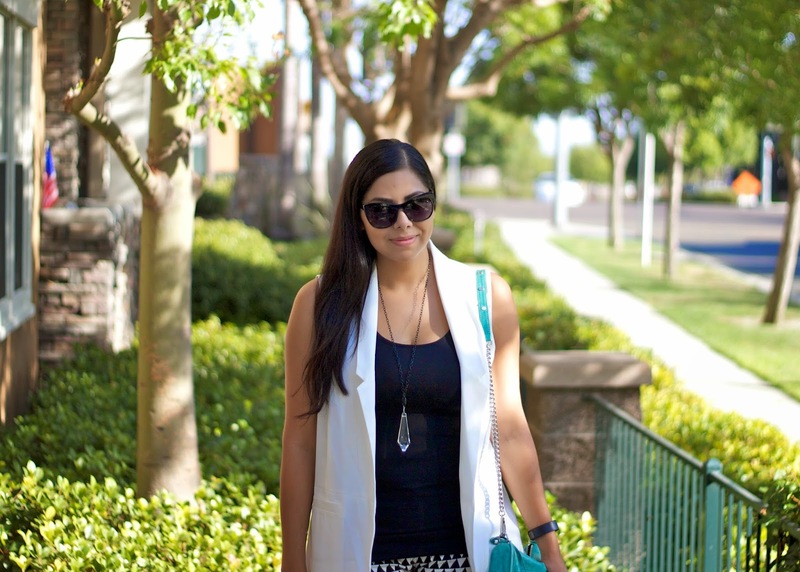 I also went with the oversized white vest vs. wearing a blazer due to the 80 degree temperature we were having- 'tis a hot day! And let me just say, running late and heat don't mix. About the Event: #rSSchoolnight was definitely an informative class for us "publishers" of content that touched on helpful tips regarding SEO, Web design, their apps, to name a few. Most importantly, it brought together a great group of local girls that are as passionate about their blogging content as I am. Here are some pics from my Instagram! 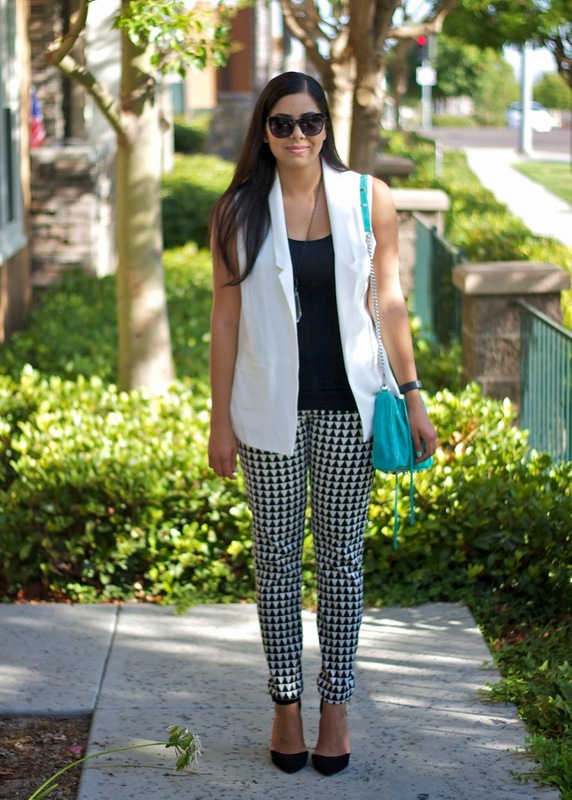 Paulina, love those pants, and the rest of this look. Love how you styled this, and the necklace is beautiful. Love this outfit on you Paulina. How do you find out about events like this? I am in the San Diego area and would like to improve on my content as well.